Siomai is a traditional Chinese dumpling and one of the more famous of the dim sum dishes. This dumpling comes with different filling depending on the local tradition, pork, shrimp, beef, pork and shrimp, and topped with carrots and peas. 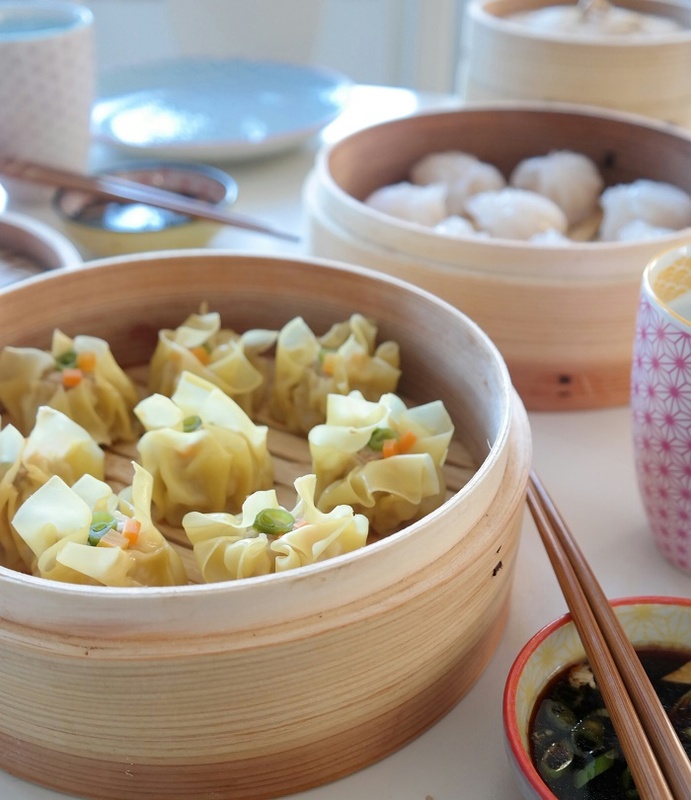 Traditionally these dumplings are steamed but they can also be fried. Finely chop the shrimps, water chestnuts and scallions. Combine all the ingredients in a bowl and mix. Set filling aside in the refrigerator for at least 30 minutes, but best if you leave it overnight. Before I start wrapping the filling I roll it in to little balls, about a tablespoon. 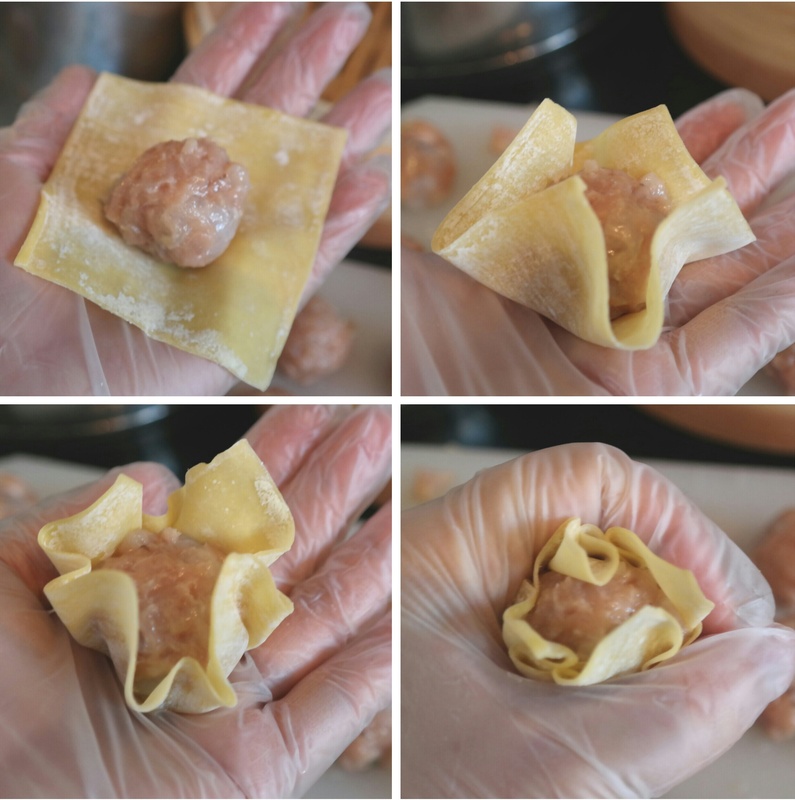 To wrap the siomai, place 1 wonton wrapper in the palm of your hand. Place about a ball or 1 tablespoon of filling in the middle of the wrapper. Bring two opposite corners towards each other, and press gently to adhere them to filling. Repeat with remaining 2 corners to form a little cup around the filling, gently squeezing to hold wrapper in place. Add a little bit of the diced carrots on top and set aside. Continue wrapping the remaining siomai. 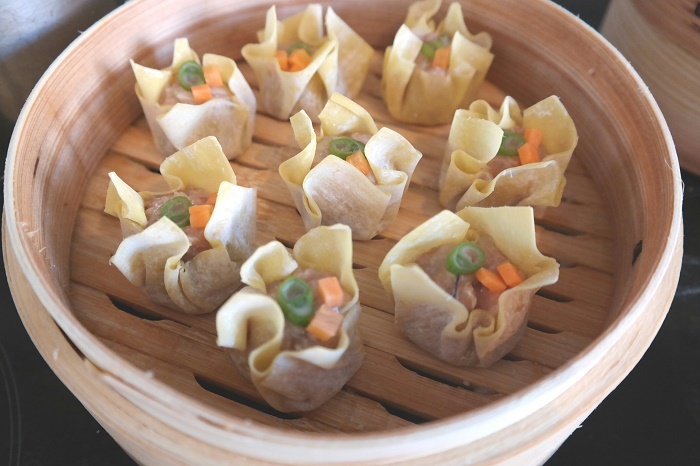 Arrange siomai in the steamer basket, leaving room around each one so they won’t stick together. Steam fresh siomai until cooked through, about 10 minutes. 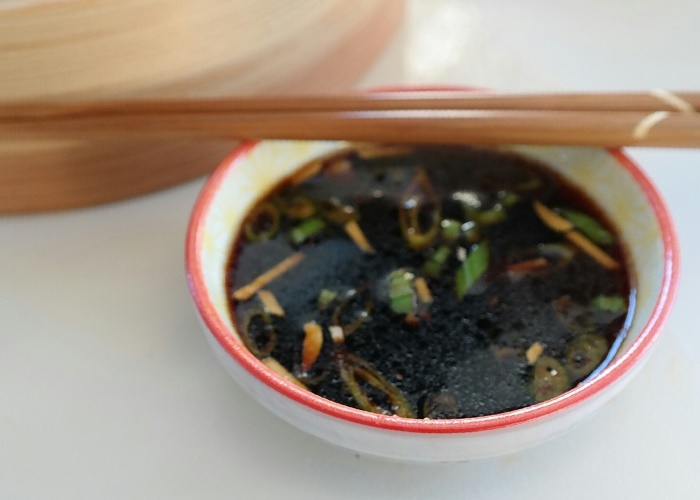 Serve, eat them plain or with a dipping sauce. 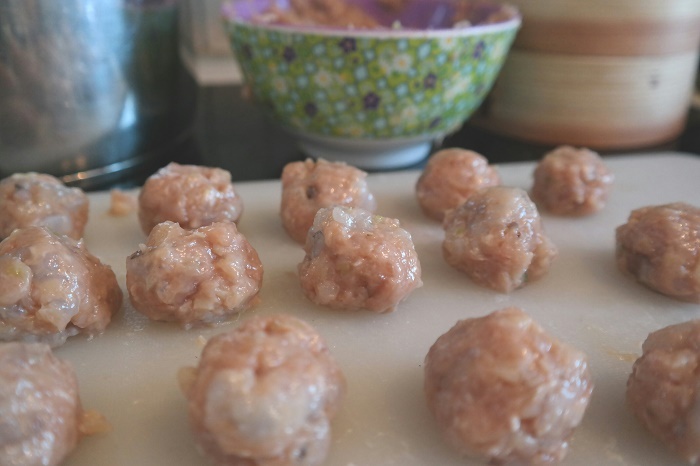 Uncooked siomai can be frozen, so make a big batch and freeze the ones you are not going to eat right away and enjoy them later. Combine all the ingredients in a bowl and let it sit while you make the siomai. 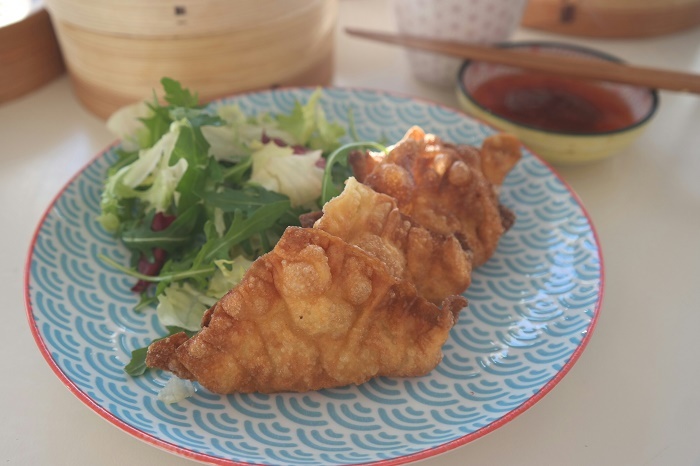 Same dumpling, but folded differently and fried.